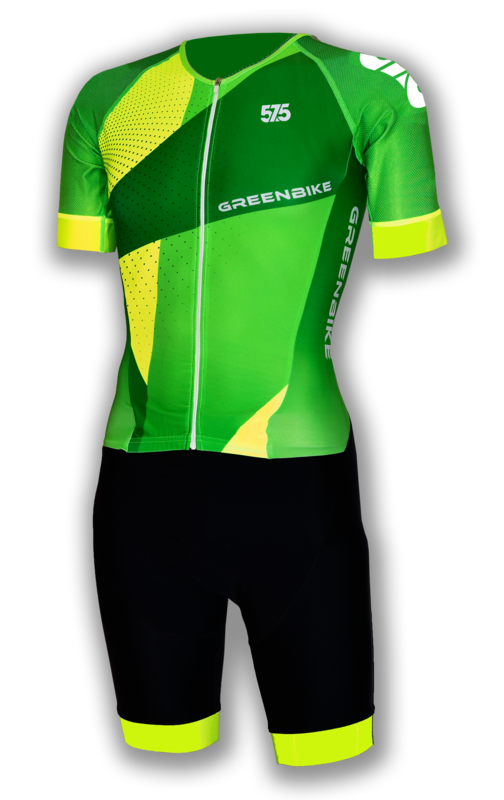 This trisuit is specifically made for long distance racing, ensuring that you stay comfortable during all three disciplines. The materials used provide high UV protection and do not become semi-transparent even in white colour. The ergonomically designed fit makes sure rubbing-free and comfortable racing. The top and bottom part are not completely sewn together at the front providing freedom of movement for you. The 3 backpockets offer storage for race supplements. The 4.5 cm wide breathable silicone grips on the arms and legs make sure your suit stays in place , while the triathlon seat pad provides sufficient impact protection for cycling. The suit has a unisex cut, suitable for both men and women.